Phylis Makurunje’s work revolves around one of the biggest concerns facing the materials industry when it comes to building hyper-fast aircrafts- creating aircrafts using the appropriate materials to withstand the high temperatures experienced at hypersonic flight. At hypersonic speeds most metals melt. “As such, the aim is to have reusable materials that give the planes as many flights as possible before replacement. That is why I work on ultra-high temperature composites (UHTCs),” says Makurunje. Makurunje’s childhood dream was to make a helicopter one day. She was not entirely sure how to achieve her dream but pursued a career in STEM. She achieved a BEng (Bachelor of Engineering) in Chemical Engineering from the National University of Science and Technology. She then worked in the metallurgical industry for a few years after which she enrolled for MSc Materials Engineering at the University of the Witwatersrand. It was here that the doors to outer space world opened for her and she began an incredible journey of working on UHTCs for rockets and future hypersonic space aeroplanes which can travel across continents in just one hour. She reached the realisation that she, “had incredibly leaped into [her] childhood dream field with the opportunity to work on aerospace materials.” And hence she proceeded with doctoral studies, following her MSc and has also been simultaneously working in the armour materials industry. With time, the “Materials Engineer” label has replaced the “Chemical Engineer” one. She wakes up every morning and asks herself, “Why can’t it be from Africa?” “Why can’t it be inexpensive?” “Why can’t it be accessible to all?” Makurunje thinks on these questions as she handles the challenges that come her way. She feels, “Just like the Internet of Things revolutionised the globe and essentially how everything is running our lives today, the Space of Things as I call it, is the next revolution and it is already here,” and is constantly driven by the potential impact that space technologies have on humanity. Makurunje believes one of the biggest issues facing women in STEM is mentorship, “Mentoring efforts that have gathered significant momentum are mostly directed at school-going girls. When young women try to reach out to women in STEM who have made it, they usually get no response at all or a passive one.” She feels that good mentoring at this level should be modelled and promoted and that senior STEM women should volunteer as dedicated mentors. 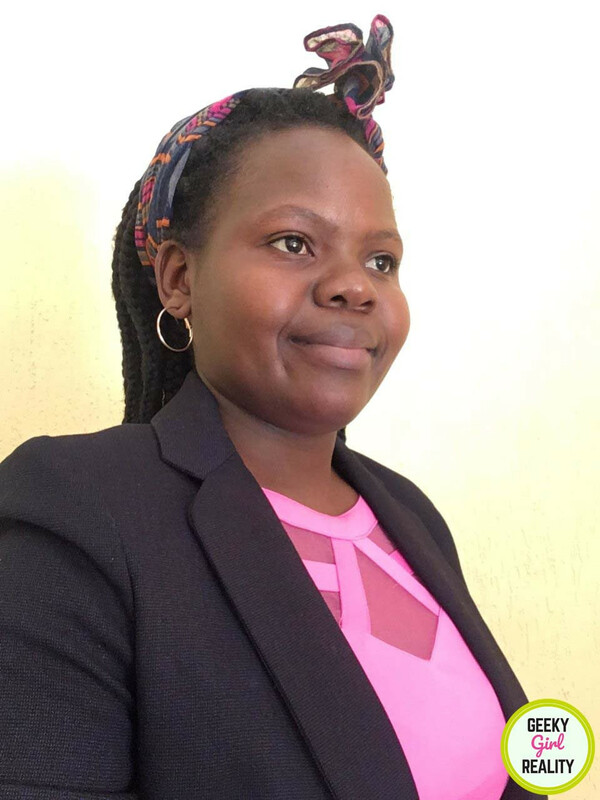 Read more about our Geeky Girl Phylis Makurunje as she travels through the STEM world faster than hypersonic flight, setting the STEM world alight with her bright ideas. My work involves answering the materials question in upcoming hyper-fast aircrafts. Hypersonic flight is the next-thing in aviation; it involves shattering the sound barrier and zooming travellers to their destination via the fringes of space. Such daring speeds mean that one can fly across continents in just one hour. I studied BEng (Bachelor of Engineering) Chemical Engineering at the National University of Science and Technology. I worked in the metallurgical industry for a few years and then went for an MSc Materials Engineering at the University of the Witwatersrand. When I realised how I had incredibly leaped into my childhood dream field with the opportunity to work on aerospace materials, I proceeded with doctoral studies. I have been working in the armour materials industry as well. The “Materials Engineer” label has overtaken the “Chemical Engineer” one. I am driven by the potential impact that space technologies have on humanity. Just like the “Internet of Things” revolutionised the globe and essentially how everything is running our lives today, the “Space of Things” as I call it, is the next revolution and it is already here. Outer space is the next hotspot of business conversations. It has been fun, fascinating and, of course, one’s fortitude has to be continually put to the test. This is where the issue of mentoring comes into play. Getting female mentors when starting a career in STEM (outside the one an employer may assign, who's usually a man) seems very difficult. Mentoring efforts that have gathered significant momentum are mostly directed at school-going girls. When young women try to reach out to women in STEM who have made it, they usually get no response at all or a passive one from 10 out of 10 potential mentors. It is high time good mentoring got modelled and senior STEM women stepped out to be dedicated mentors. I would say “Do you, all the way”. A number of young people get derailed from their areas of passion and dreams by the voices of the people around them who misguide them that if one is good at Science subjects in school then they have to become a medical doctor. I admire medical doctors; but each one of us has to find our individual element and run with it. I found the future of Africa well described in a quote I read back in 2007 in a World Bank publication, by one of the former presidents, “The 20th century saw the stunning rise of countries like China, India and Japan. The 21st century may belong to Africa.” It is up to Africa to shake off the historical narrative of perpetually trailing on technological issues. The positive is that many African countries are taking significant strides on increasing the number of students taking STEM subjects in schools. These are the important steps that point to a brighter future. My message to the continent: Enlarge your capacity. Spread out. Think big. Spare not. I am always inspired by the hundreds of stories of darity, of defying odds and of finding purpose from people from all walks of life that I get to listen to or read about. It difficult for me to single out one; I like that variety.